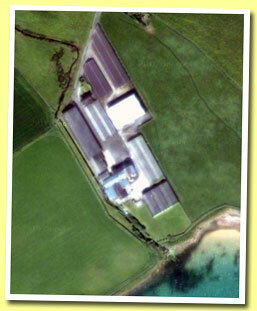 The Scapa distillery is located on the main island of the Orkney isles, north-east of the Scottish mainland. Both distilleries on the main island (Highland Park is the other one) are in or near the town of Kirkwall. Scapa is situated on the Lingro Burn, two miles south west of Kirkwall at the head of Scapa Bay. As you can see from the picture at the right, the distillery itself doesn't look as romantic as many of its mainland counterparts. Like many distilleries on the more remote islands, Scapa has to deal with less .... More on Malt Madness.